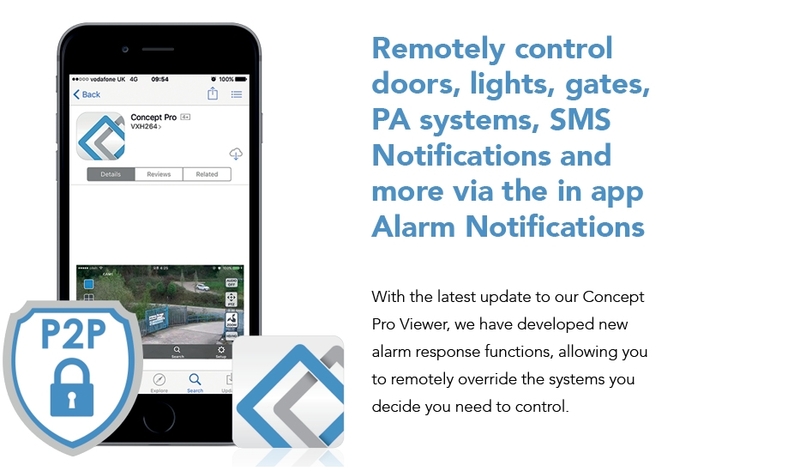 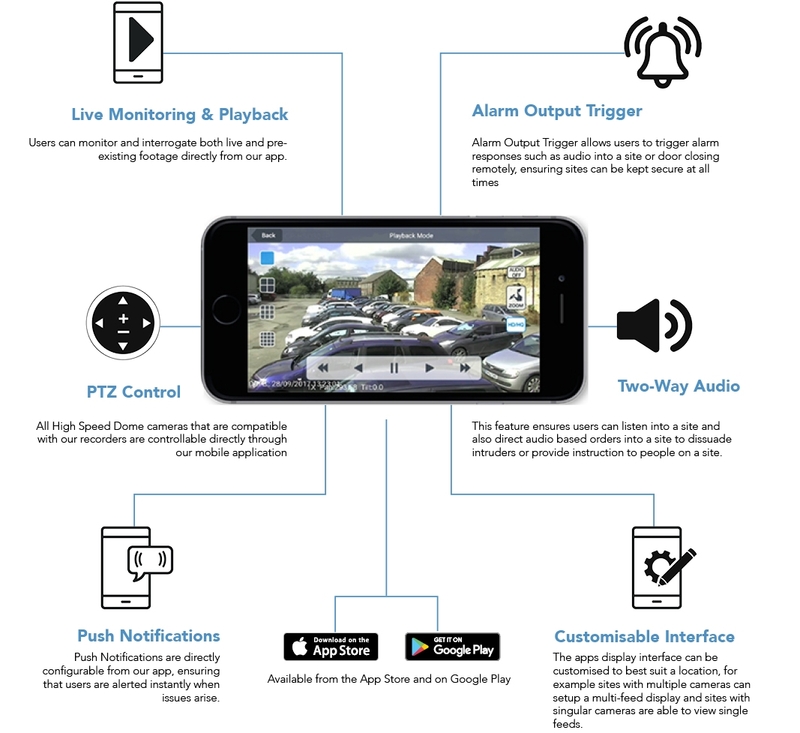 Povides 24 hour remote monitoring for clients and is available on all Concept Pro recorders with Alarm Receving Stations using Immix Cloud and Sentinel platforms. 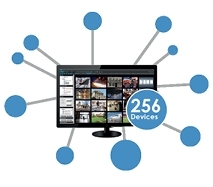 H.265 compression allows for reductions in storage capacity of between 4% and 95% deeonding on the amount of motion in the video. 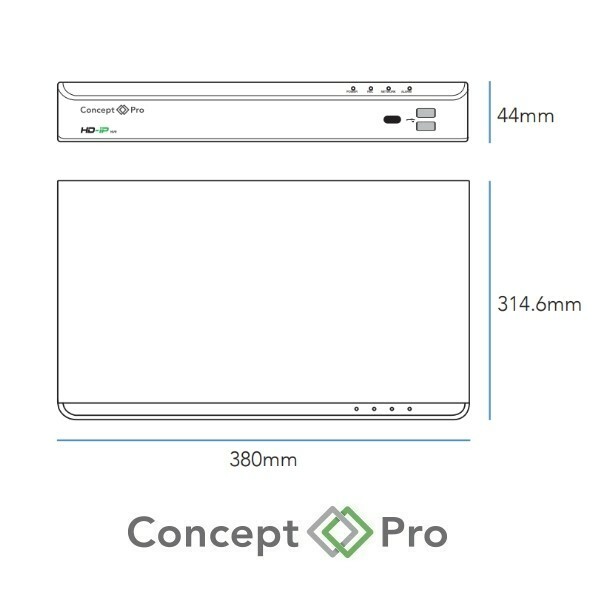 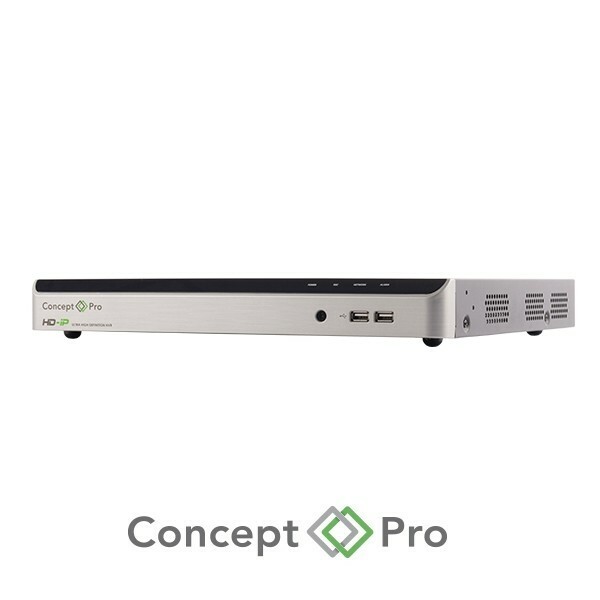 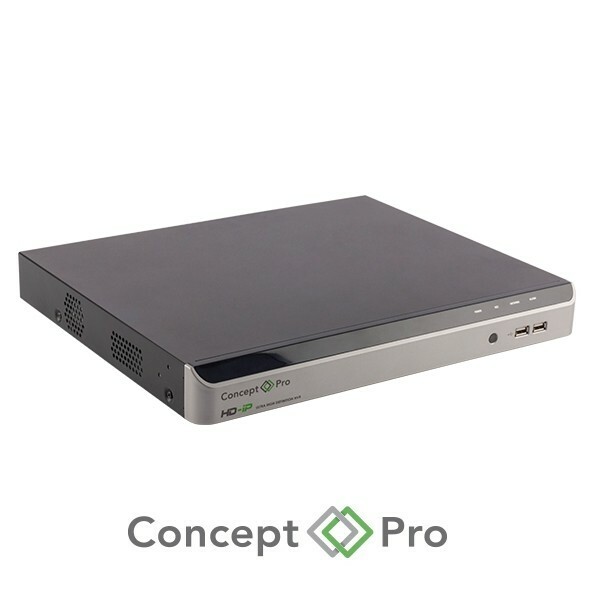 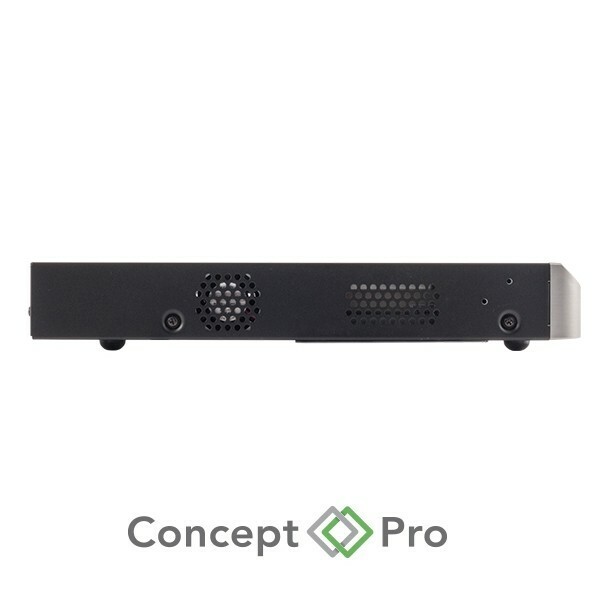 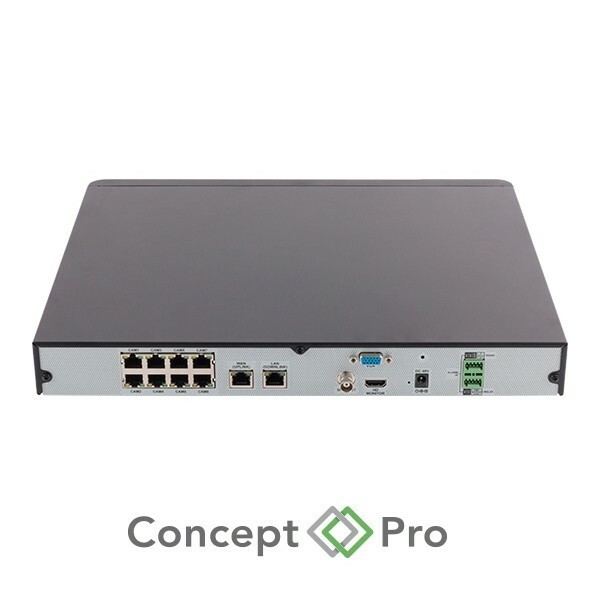 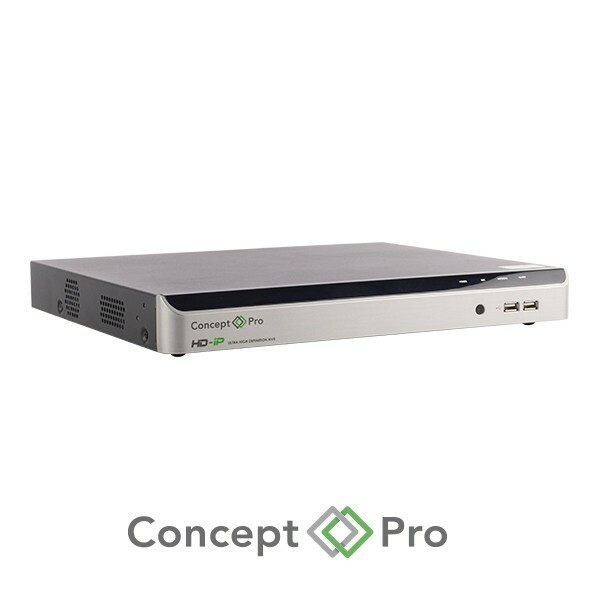 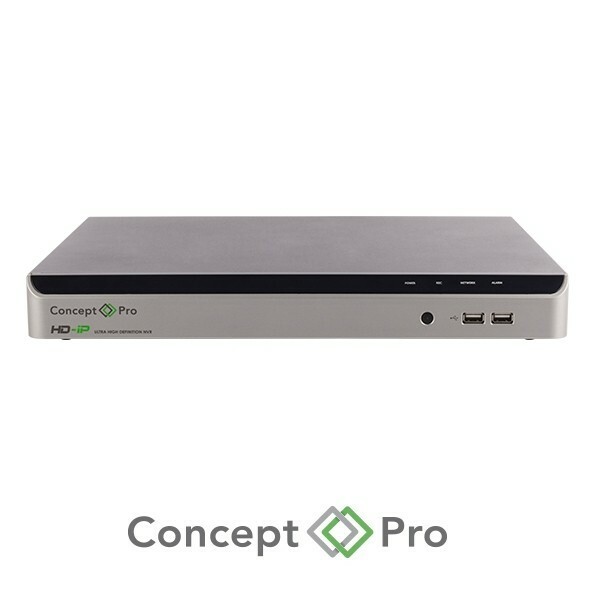 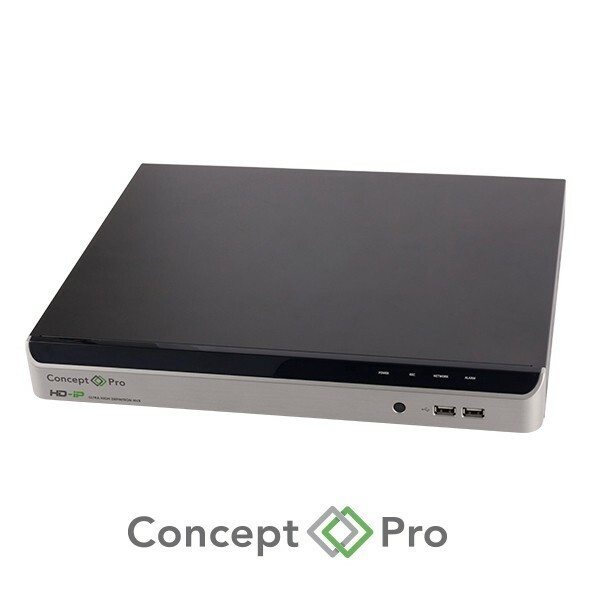 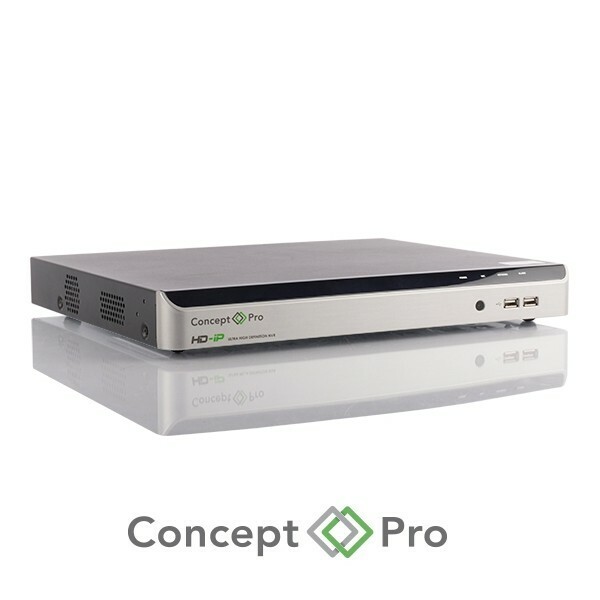 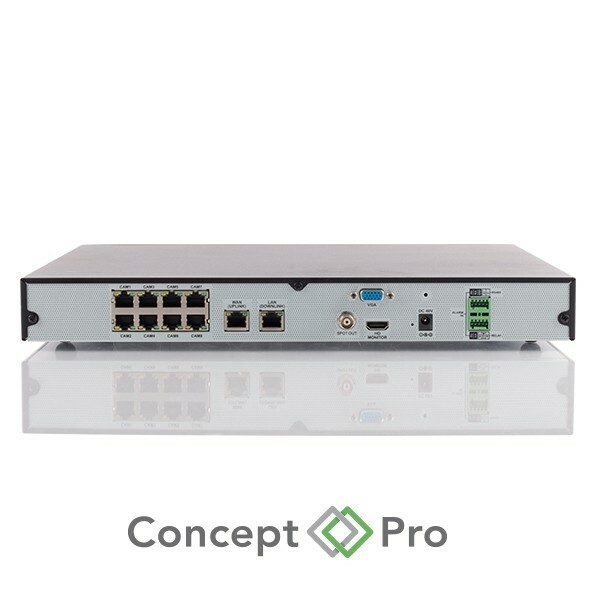 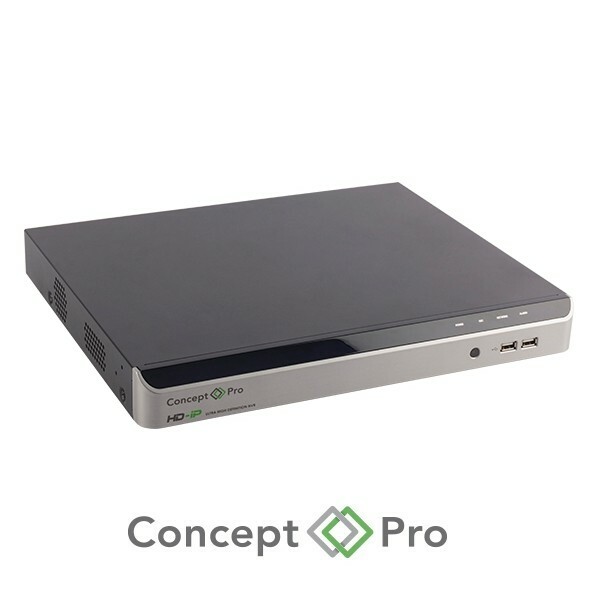 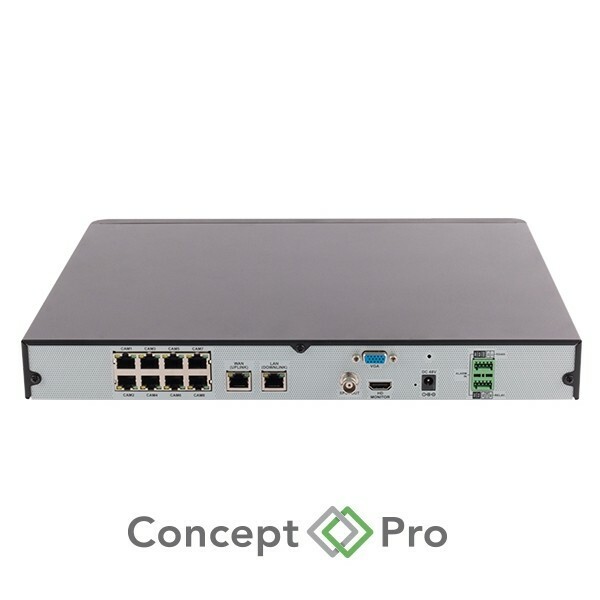 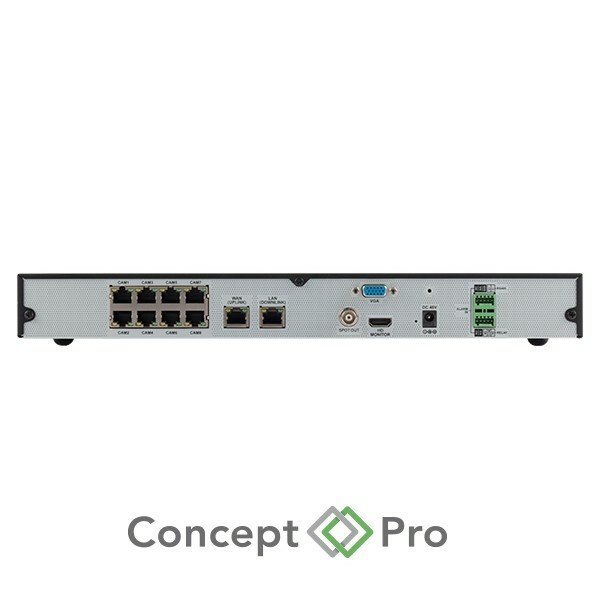 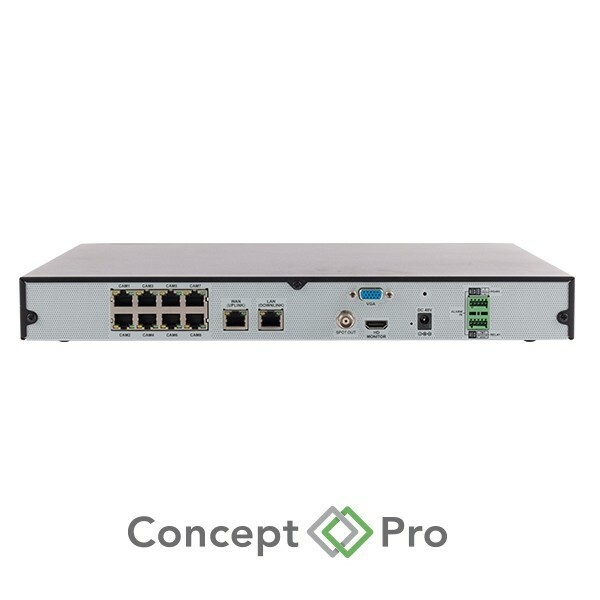 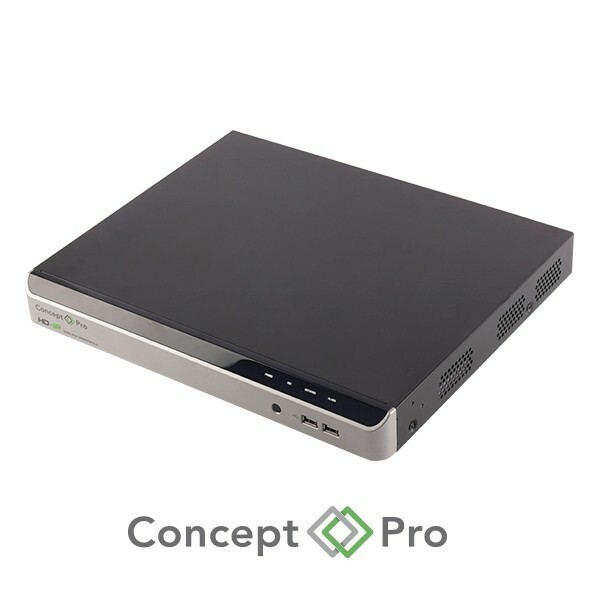 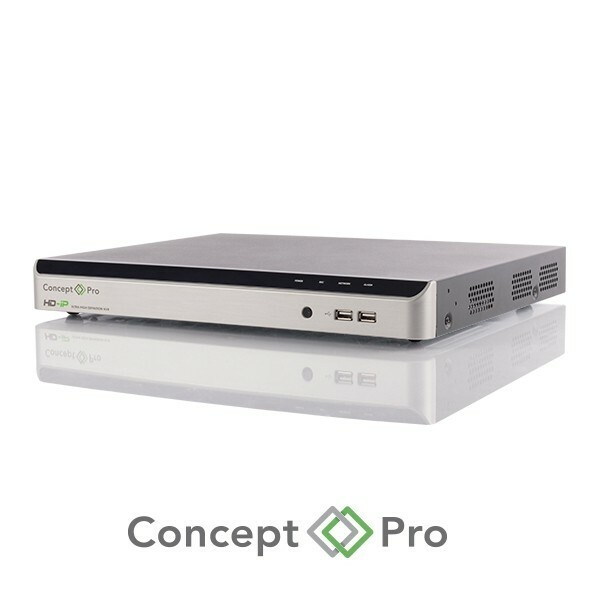 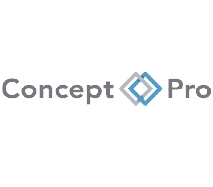 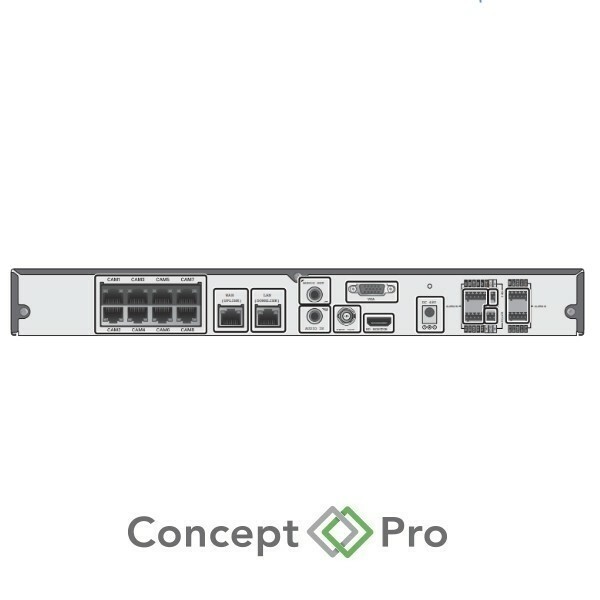 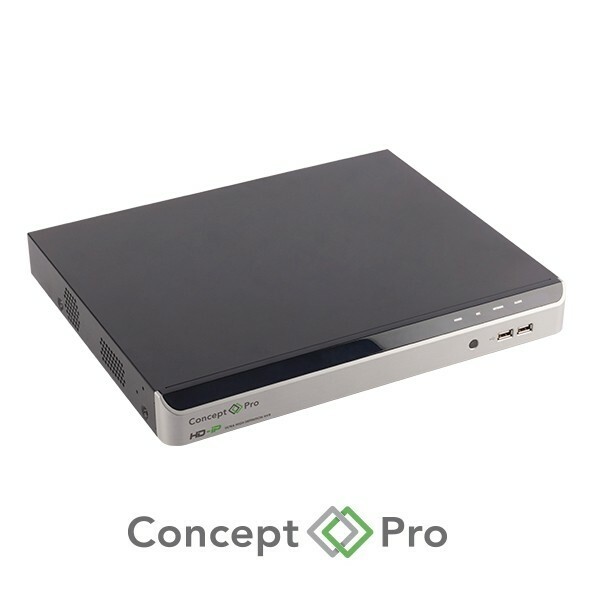 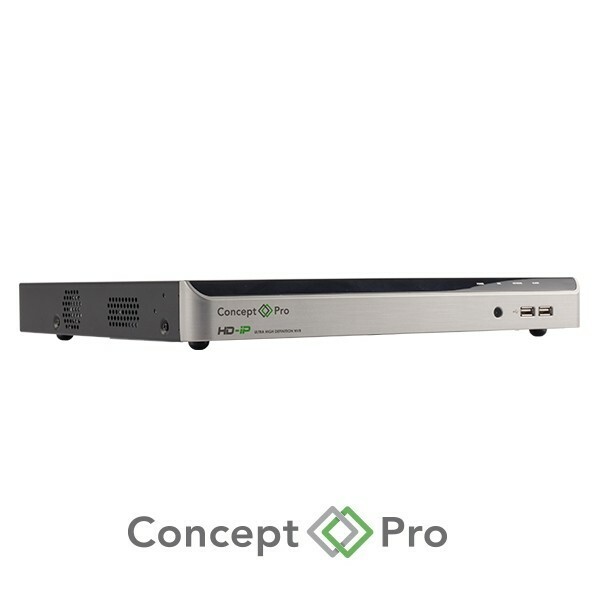 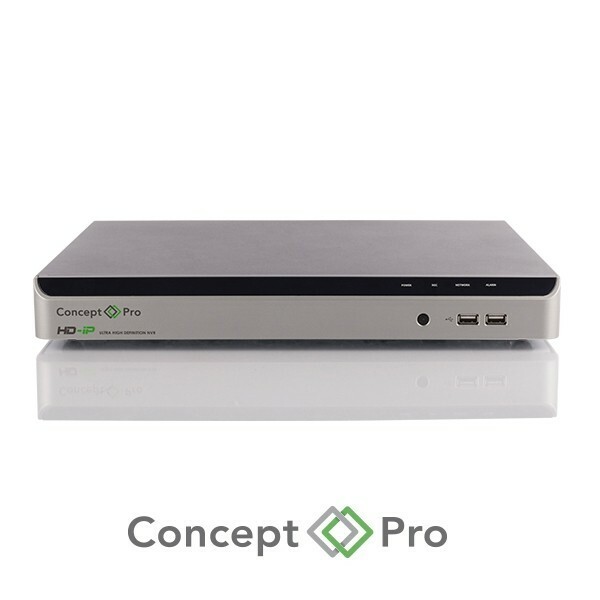 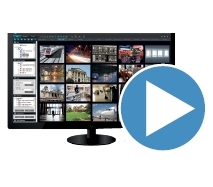 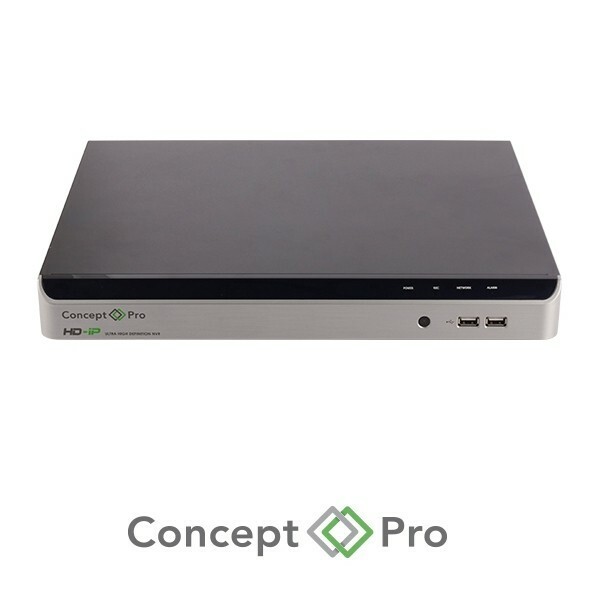 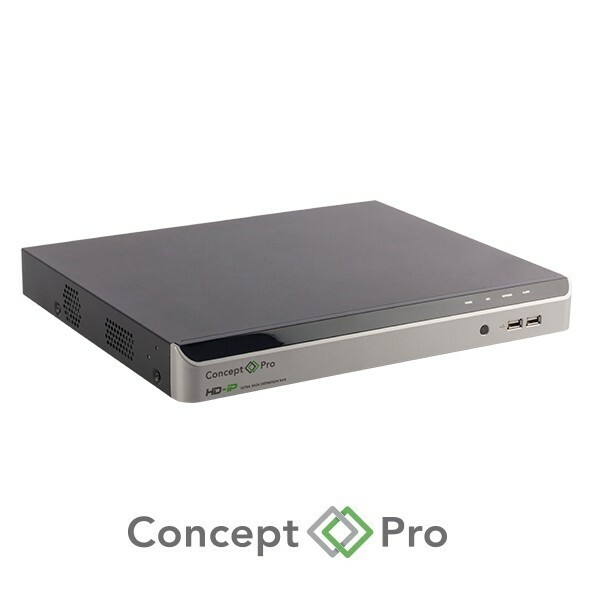 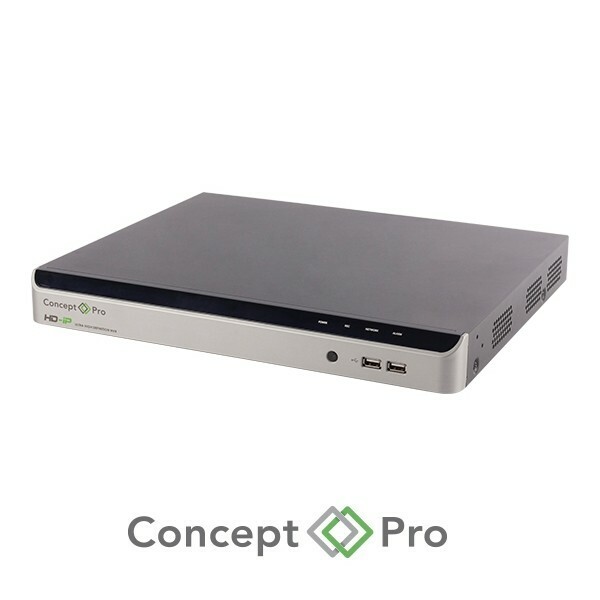 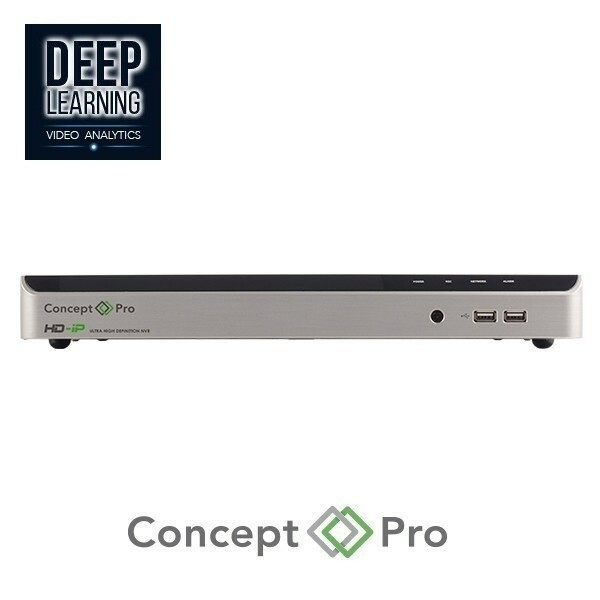 Concept Pro Smart Storage Compression (SSC) offers enhancements in recording times by improving control of the streaming rate of IP cameras automatically from the NVR. 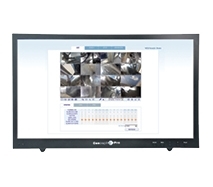 This gaurantees 30 days of constant video recording. 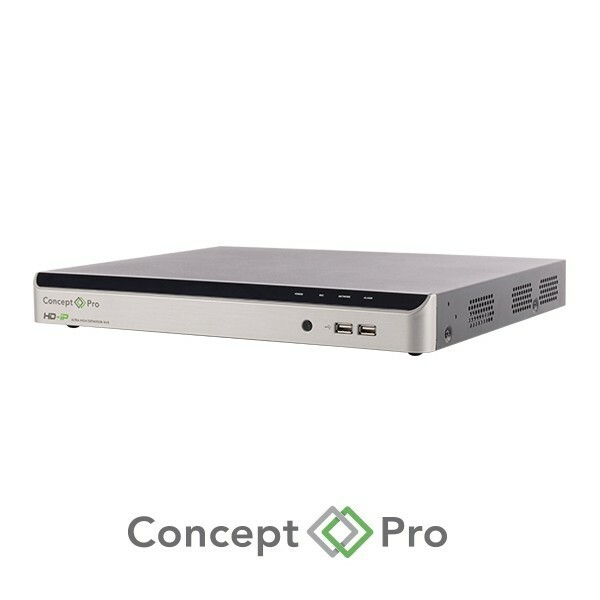 A single brilliant GUI features on both the AHD and the IP (VXH & VUHD) recorders, making it a seamless transition between platforms. 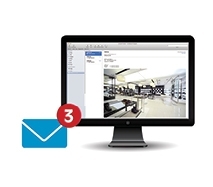 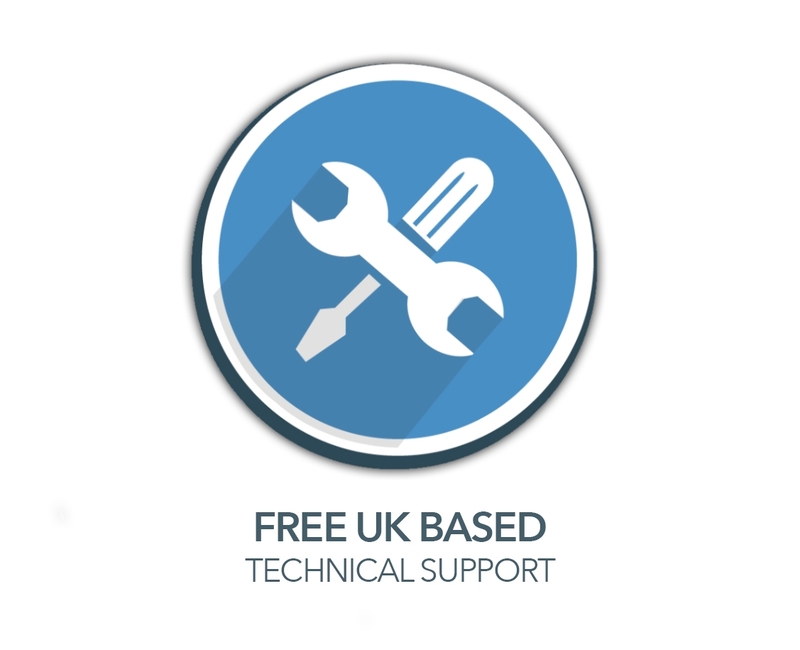 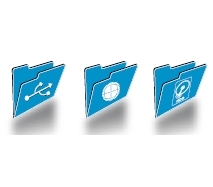 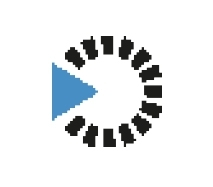 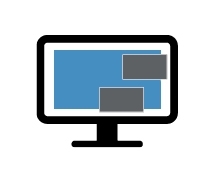 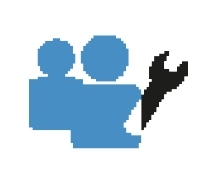 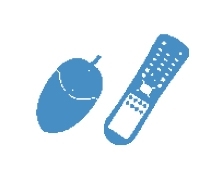 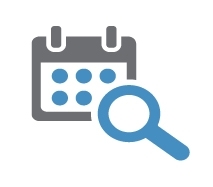 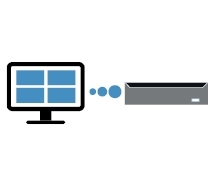 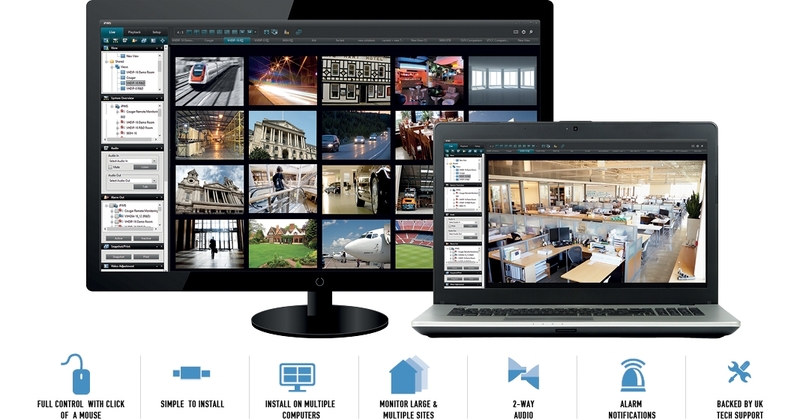 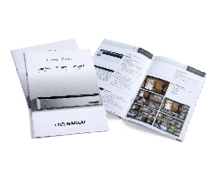 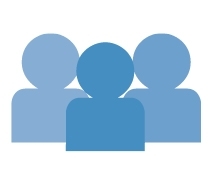 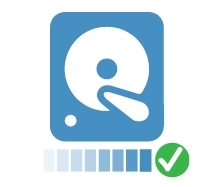 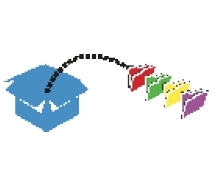 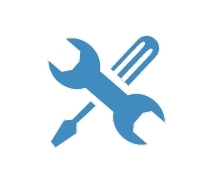 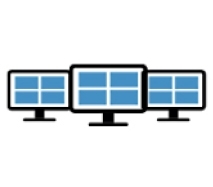 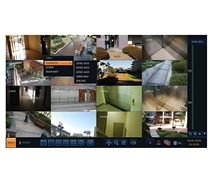 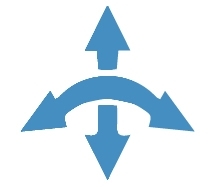 The licence-free iPIMS client software enables installers to connect multiple analogue and IP recorders, indivual IP cameras and other external detection equipment together over a network or internet to a signle PC. 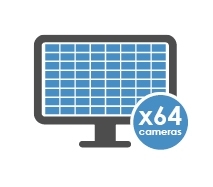 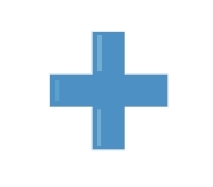 Perfect when monitoring large or multiple sites with a high number of cameras. 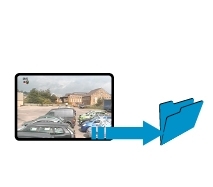 Multiple camera views can be sent to different Users can move PTZs through the on-monitors connected to a single PC.